We will only ever stock toners which are 100% compatible with your printer, meaning you won't need to stress about them causing trouble or simply delivering poor quality printouts. You'll not only have the assurance of high quality toners, we will ensure they're delivered quickly and for free. Cartridge Save are fanatical about providing affordability on top of first-rate customer service. You can get complimentary overnight delivery with everything purchased with Cartridge Save! We're extremely really serious about fast delivery, which results in 98% of all purchases arriving the following day. Get complete satisfaction when you buy with us thanks to the extensive cash-back guarantee, which comes as standard on everything. So if you come across any problems printing using your HP P4515X toner inside 12 months after buying you can easily mail it back for a full reimbursement. Buy the best quality laser toner cartridges at a less expensive price with Cartridge Save. The understated design and minimal controls of the HP LaserJet P4515X printer belie its robust functions. This fast and fairly versatile monochrome printer for the office can even be shared by a small group without compromising print speed and quality. However, the HP LaserJet P4515X laser printer is overpriced for a single-function monochrome printer. 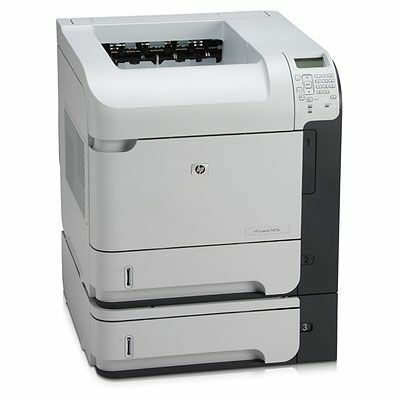 The HP LaserJet P4515X printer looks simple with a clean, plain plastic frame. It is compact and can be propped up on a desk because it measures 21.5 inches tall, 20 inches deep, and 16.5 inches wide. The LaserJet P4515X mono laser printer is energy-efficient; it boasts Energy Star qualification and runs on a 540MHz processor with 128MB RAM. The 3 standard paper trays have a capacity of up to 1,100 sheets. The control panel is similar to other printers in the LaserJet P4515 line. This printer warms up fast and it can print in speeds of up to 62ppm. Text output on the HP LaserJet P-4515X looks clear, crisp, and sharp because of the 1200x1200dpi print quality with the HP FastRes 1200 and HP REt technologies. Up to 6 paper trays can be loaded into the HP LaserJet P4515X printer. Users can expand the memory to 640MB. A workgroup can share this printer because of the embedded Jetdirect gigabit Ethernet print server and 3 host ports for third party connections. The HP LaserJet P4515X monochrome laser printer is a heavyweight, weighing 35.11kg. The price is another drawback. Some users may find the HP P4515X laser printer expensive to run because of pricey toner cartridges.